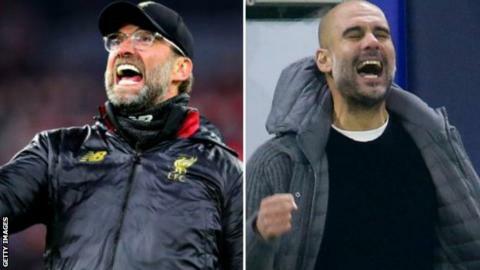 It's a title race that looks set to go the distance - but who will be crowned Premier League champions? With the run-in well under way, Liverpool lead Manchester City by two points although Pep Guardiola's side have a game in hand. Will City win all their remaining games as they eye a sensational Premier League, Champions League, Carabao Cup and FA Cup quadruple? Or will Liverpool end a 29-year wait to be crowned champions of England? Have a go at predicting who will win the title - and the rest of the top six.